Botnet of Things - ATON Computing, Inc. The relentless push to add connectivity to home gadgets has introduced a new risk into our society – the Botnet of Things. In October, 2016, a botnet of up to 100,000 hacked gadgets knocked-out Internet infrastructure provider Dyn, resulting in major website failures throughout the Internet. Hackers are taking advantage of the growing number of webcams, DVRs, refrigerators, etc. that are connected to the Internet. These devices are not designed with security in mind and cannot be patched. The Internet of Things (IoT) is an insecure platform on which bad guys can initiate attacks for both profit and disruption. 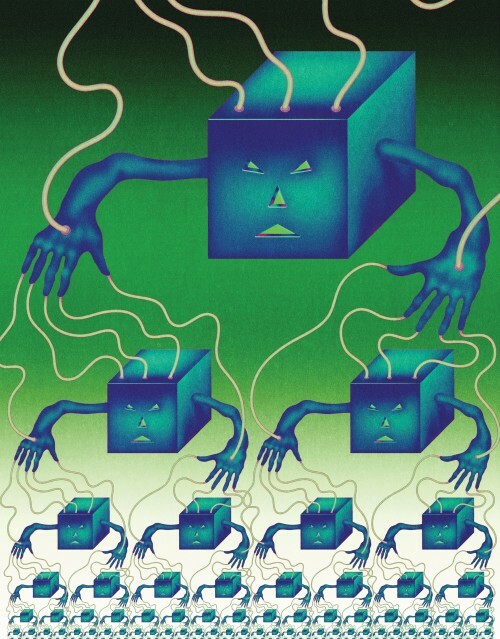 The BoTs will become larger and more powerful as the number of vulnerable devices increases. In a perfect world, our devices would run only secure software and they would be connected only to secure networks. That’s not going to happen anytime soon so we are just going to have to live with our desire to have everything talk to everything.